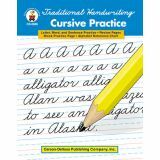 Cursive Practice is perfect for improving cursive handwriting with a practice page for each letter that includes words and sentences beginning with the letter. 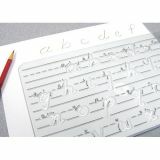 Additional exercises in copying from cursive to cursive and from manuscript to cursive are also provided. 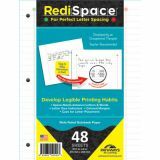 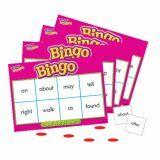 The Traditional Handwriting series books each include a blank, lined practice page and a handy reference chart. 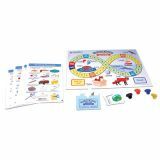 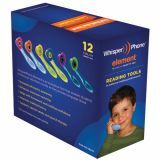 Help students develop foundational reading skills with a high-interest guided reading program for students at various reading levels. 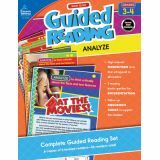 Guided Reading: Analyze for third and fourth grades includes 36 nonfiction readers—six sets of two each for below-, on-, and above-level student readers. 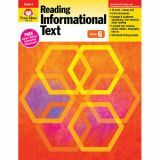 The readers in this reading comprehension resource book feature informational text about nocturnal animals, movies, Australia, space, and more. 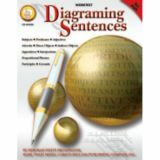 Separated into three readability levels, these informational readers capture students' attention with graphic charts, high-interest topics, colorful photos, and detailed maps. 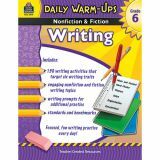 Students are encouraged to apply guided reading strategies to the text and respond to a writing prompt at the end of each reader.